As streaming services have poured billions of dollars into original content to satisfy their subscribers' insatiable lust for new movies and shows, documentaries -- like nearly every genre -- have flourished. Rarely hits at the box office, nonfiction narratives are particularly well suited to on-demand viewing, offering those who spend hours binge-watching lighter fare the rare opportunity to feel like they're learning something as they sit on the couch. Of course, quantity never equals quality, and 2019 has its fair share of duds in the documentary category. We're not going to focus on them, because that would be a dumb list! Instead, below you'll find the best documentaries of the year (including docuseries, the form that may have benefited more than from the streaming revolution than any other), a compendium we'll update regularly throughout the year. You'll find streaming hits, obscure treasures, and theatrical releases, but they all share one common trait: They'll help you better understand the world, for better or for worse. Want to watch EVEN MORE documentaries? Check out the best of 2016, 2017, and 2018. Why it's great: Joel Berlinger's iconic work on the Paradise Lost trilogy centered on the myriad miscarriages of justice in the case of the West Memphis 3, who were convicted of murdering three boys in the mid-'90s, and while his Netflix docuseries focuses on a man whose guilt is never in question, Berlinger still manages to work in sly critiques of the justice system. Bundy may have been a ruthless serial killer, but somehow law enforcement failed to catch him, allowed him to escape TWICE, and wound up convicting him in Florida on some flimsy evidence and a showboating prosecutor. 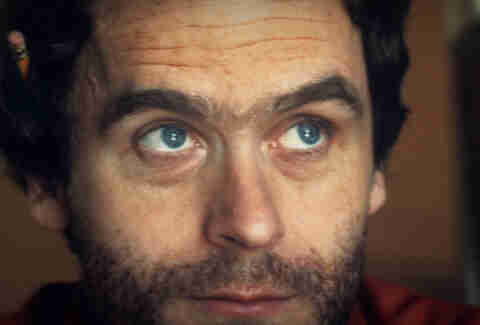 The tapes referenced in the title come from a journalist who interviewed a cagey Bundy on death row, but are ultimately secondary to the treasure trove of archival footage Berlinger intersperses throughout a relatively conventional docuseries peppered with talking heads -- one of whom survived a Bundy attack, and is one of the more revelatory figures in the doc. The convicted man eventually opens up a bit when he begins referring to his crimes in the third person, but, like most serial killers, he's impossible to relate to, and you wind up learning little about what makes him tick. Still, it's a fascinating story told over a fast-paced four episodes, and it does a far better job of developing a full picture of the killer's paradoxical charms and wit than Berlinger's companion piece starring Zac Efron, which has already faced criticism for romanticizing Bundy. Why it's great: Teens are mysterious creatures, made more so in the current social media climate. 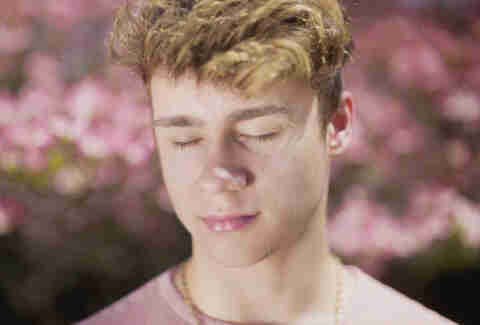 Liza Mandelup's documentary Jawline looks at this culture through the prism of one budding star: a boy in Tennessee named Austyn Tester, who has made something of a name for himself on apps like YouNow and Musical.ly. Austyn is a fascinating figure around which to center a piece on this subject: He's not, according to Mandelup's sources, one of the most popular kids on these platforms, but he still has enough of a following to see a way out of his tiny town and home filled with cats. Mandelup parallels his journey with the saga of Mikey Barone and Bryce Hall, two of Austyn's peers in the industry. They operate from an LA mansion alongside their manager, 21-year-old Michael Weist, who believes he is a mastermind in viral success. The film is brightly lit, beautifully shot, and thoroughly depressing, exposing a glistening world that targets teen girls' insecurities. 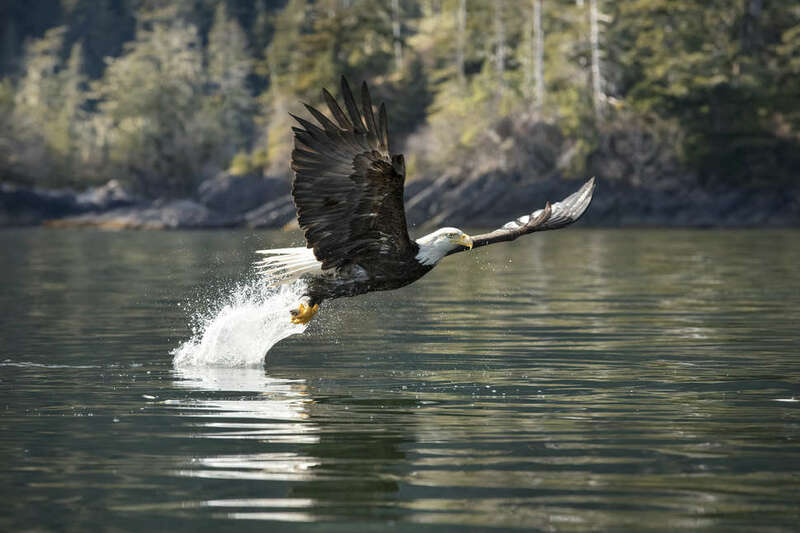 Why it's great: The team behind BBC's influential and popular Planet Earth series took their talents (including narrator David Attenborough) to Netflix, and the resulting series is just as stunning as any of the previous installments. 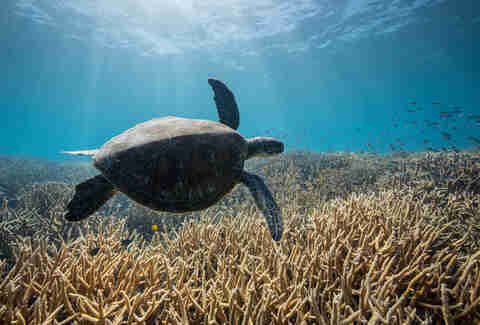 Placing more emphasis on the devastating effects of climate change than its Planet Earth companions, Our Planet travels the globe to capture heartbreaking moments like a massive glacier calving and desperate walruses flinging themselves off cliffs to their deaths. The one knock against it as a documentary is that it doesn't depart from its predecessors' style in any meaningful way, down to some sequences that are mere variations on scenes previously depicted -- but when the message is this grave, and the natural world still so underexplored, Our Planet can get away with delivering familiar work with a slightly different tone. Why it's great: While Satan has been around for a long time, The Temple of Satan, the primary focus of this sly documentary, was founded in 2013 by Malcolm Jerry and Lucien Greaves. The spokesperson for the group, Greaves speaks with authority and humor about the organization's larger political, social, and theological goals, which center around religious freedom and the separation of church and state. 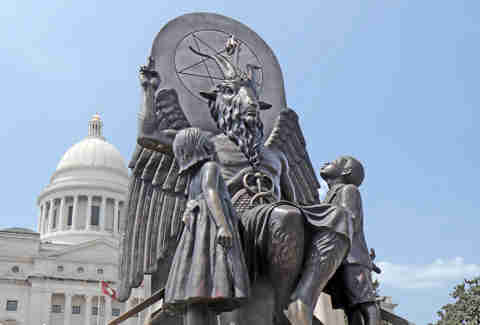 (Justifiably, The Temple of Satan does not like when governments install the Ten Commandments in State Capitals.) Though they wear black and often enjoy heavy metal, these aren't the Satanists of the Satanic Panic in the '80s, which gets a CliffNotes treatment here, or the robe-wearing fanatics from horror films. Using archival material of Sunday school cartoons and news programs, Lane gives the viewer a crash course on Satanism's place in history while also emphasizing the activist nature of modern Satanists. Despite some repetitive interviews, Hail Satan works as a funny, thoughtful primer on a group that trolls with the best intentions. 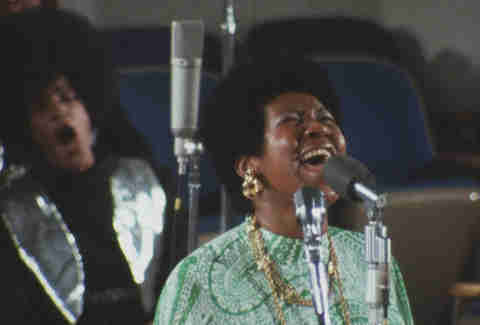 Why it's great: The long road Amazing Grace took from its filming in 1972 to its wide release this year explains a lot about why its subject -- the Queen of Soul herself, Aretha Franklin -- fought so hard to keep the visual account of her legendary 1972 gospel performance in Los Angeles from seeing the light of day. She was promised a documentary with the cultural impact of Woodstock, and instead Pollock and his crew botched the recording so badly that they failed to sync the sound, making a release impossible for decades. Thankfully, producer Alan Elliott stuck with the project, utilizing digital technology to correct the sound issues and working with the Franklin estate to ensure the finished film made it into the world. The result is a viscerally emotional depiction of 29-year-old Franklin and the Southern California Gospel Choir spending two nights sending an audience at the New Temple Missionary Baptist Church into rapturous ecstasy. Throughout the performance, however, it's difficult to shake the degree to which Franklin is absent from it. She's singing, obviously, but the cameras return again and again to the men who surround her: the Reverend James Cleveland, Franklin's father, and the charismatic choir director Alexander Hamilton. In the end, Franklin's singing is powerful enough to drown them all out. Why it's great: Plenty of films have tried to capture the experience of space travel, from sci-fi movies (see: Alien, also the subject of a 2019 documentary) to historical dramas (like last year's First Man). Apollo 11 may not have any visual effects, but it still may make you gulp in wonder. Compiled from never-before-seen footage provided by NASA, the documentary charts the first flight of the moon from launch to touchdown through primary sources alone. Miller adds little 21st-century embellishment, aside from simple graphics that help to explicate the stages of the mission. Otherwise, everything we see or hear was available in 1969, with dialogue culled from 11,000 hours of recordings. The result is an awe-inspiring testament to the miraculousness of the event, buoyed by the crystal-clear 65 millimeter large-format images, recently unearthed by NASA staffers and digitized under Miller's supervision. But the moments that make Apollo 11 are the ones that come back down to Earth -- metaphorically speaking, that is. In digging through thousands of hours of audio, Miller found moments in which American heroes aren't deities, but just regular humans, with heart rates that escalate and silly jokes to spare. 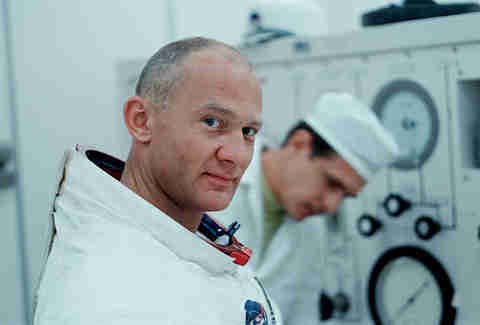 Buzz Aldrin making a crack about making sure he doesn't lock the module door behind him as he descends onto the moon? Classic. Why it's great: If you've paid even passing attention to American politics in the past three years, you know who Steve Bannon is. The former chair of Breitbart News, the head of Donald Trump's 2016 campaign, and Chief Strategist in the Trump White House has long been known as the spiritual leader of the alt-right, an ideologue who pushes racist, xenophobic, and anti-Semitic views in the name of so-called "nationalism." The Brink's genius lies in its ability to humanize Bannon while further exposing the depth of his prejudice and the hollowness of his political agenda as he jets around the world trying to build a coalition of like-minded political figures. Klayman's access to Bannon, though it's crucially restricted at key moments, makes for a fascinating study not just of politics in action, but the limits of self-awareness. 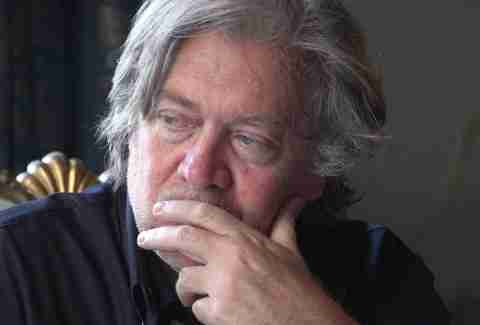 Whatever your preconceived notions of Bannon may be, The Brink is essential viewing if you're trying to get a handle on the true aims of nationalist populism throughout the Western world -- and who isn't trying to get a handle on it? 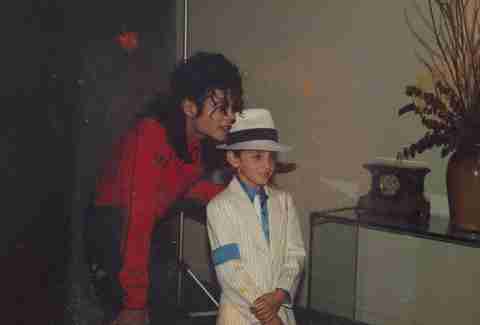 Why it's great: This new HBO original documentary is a disturbing and explosive one, focusing on the stories of two men who say Michael Jackson sexually abused them for years when they were children. By shifting focus away from the King of Pop and onto the alleged victims (Jackson was never convicted of assault or abuse during his lifetime), documentarian Dan Reed shows the immense star power Jackson wielded to influence not just the boys, but their entire families. Both victims describe their abuse in clinical detail, which makes for a queasy watch, but a worthwhile one as pop culture continues its long reckoning with the heroes it elevates and celebrates. 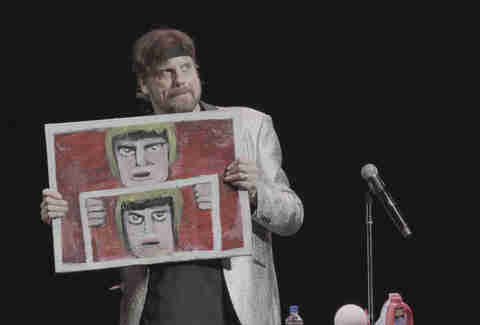 Why it's great: Charming and antagonistic, comedic magician John "The Amazing Johnathan" Szeles, who began performing in the '80s and eventually became a Las Vegas headliner with his brazenly confrontational act, makes for an ideal documentary subject. He's a showman with an understanding of the dramatic -- the movie centers around a "farewell tour" he embarks on following a bleak medical diagnosis -- but he also has the self-loathing streak of many successful stand-up comedians and he's not afraid to turn his anger against his wife, his fans, or, most essentially here, his director. In a series of absurd twists that recall David Farrier's nail-biter Tickled and Nathan Fiedler's gonzo reporting project Finding Frances, Untitled Amazing Jonathan Documentary transforms from a showbiz bio into a clever, often shocking variation on a reliably absorbing type of documentary: the meta non-fiction film about the tricky responsibility a director has to his or her subject. Given his background as a director and editor for projects from Tim Heidecker and Eric Wareheim, it's not surprising that Berman is willing and able to sit in uncomfortable moments. What's refreshing is that he digs deeper into himself and his subject as the film progresses, breaking down his own intentions and motivations as his project threatens to implode from within. He's not simply content to let the audience squirm. Why it's great: The superior of the two Fyre Festival documentaries released earlier this year, Fyre is a fiendishly paced, carefully constructed procedural about the work project from hell. Early on we meet Billy McFarlane, a goober selling a fantasy of exclusivity and proximity to celebrity, and his entrepreneurial partner Ja Rule, a rapper selling a lifestyle of wealth and non-stop partying. Together they have a vision: a music festival in the Bahamas that promises all the FOMO-inducing opulence of a well-curated Instagram feed. 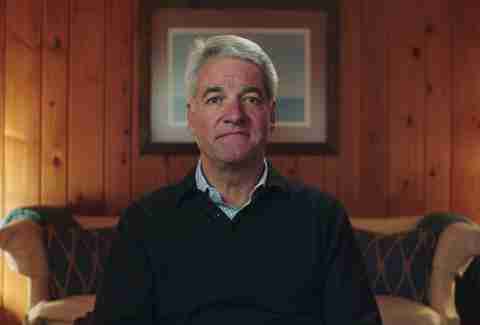 Compared to Hulu's more think-piece-ey take on the material, Fyre puts you on the ground, walks you through each spectacularly dumb decision, and has the more memorable interviews. (Yes, we're talking about the highly meme-able Andy King.) Even if the Netflix version is perhaps the more ethically dubious of the two documentaries, one could argue that meta-layer of behind-the-scenes turmoil also adds to the experience: You start to feel like the scam will never end. Why it's great: Half tense prison-break thriller and half earnest political documentary, The Infiltrators is a hybrid of dramatic and non-fiction storytelling that's difficult to describe and even harder to shake. In 2012, an activist group of undocumented immigrants made a daring attempt to free detainees at the Broward Transitional Center in Florida by purposefully having two of their members give themselves for deportation up at the center. Once inside, they would coordinate to apply political pressure from the outside and secure releases for the immigrants being held captive. While many documentaries use reenactments, this project blends the "real" and the "fake" in a gripping, novel way by having actors play the parts "inside" the jail and relying on documentary footage for all the story "outside" the facility. It's tempting to ask why not simply make a traditional narrative feature, but the filmmakers ultimately justify the complexity of the set-up with thematically rich moments that zero in on the performative demands of political action and public protest. The movie puts you behind the walls, exposing the truth by crafting an elaborate lie. Why it's worth seeing: When the Chinese company Fuyao Glass opened a new factory in Dayton, Ohio, there was so much hope in the air. Billionaire Chairman Cao Dewang arrived at his new facility with the intention of writing a bold new chapter in the expansion of global capitalism, delivering prosperity to a struggling area while getting rich in the process. That was the plan, at least. Over the course of two hours, American Factory follows the slow depletion of that hope as the corporate culture of the Chinese managements butts heads with the customs, attitudes, and economic priorities of the American workforce. Directors Reichert and Bognar put their cameras everywhere: terse board meetings, raucous union organizing sessions, casual break-room conversations, and, in one revealing sequence, a business trip to a Fuyao factory in China. Despite sounding tremendously bleak, American Factory has more humor and humanity than your average magazine article about the challenges facing Middle America. For a movie about the complexities of mechanical manufacturing, it feels refreshingly handmade.